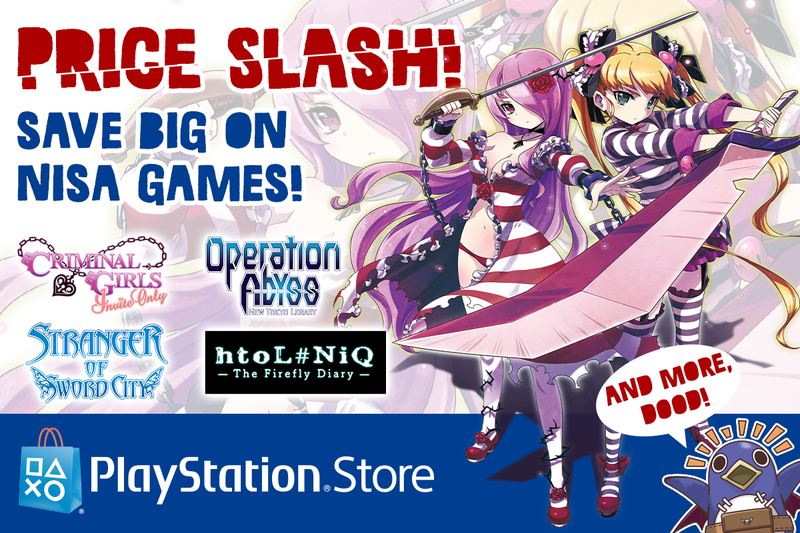 Price Slash on Tons of NISA Games! 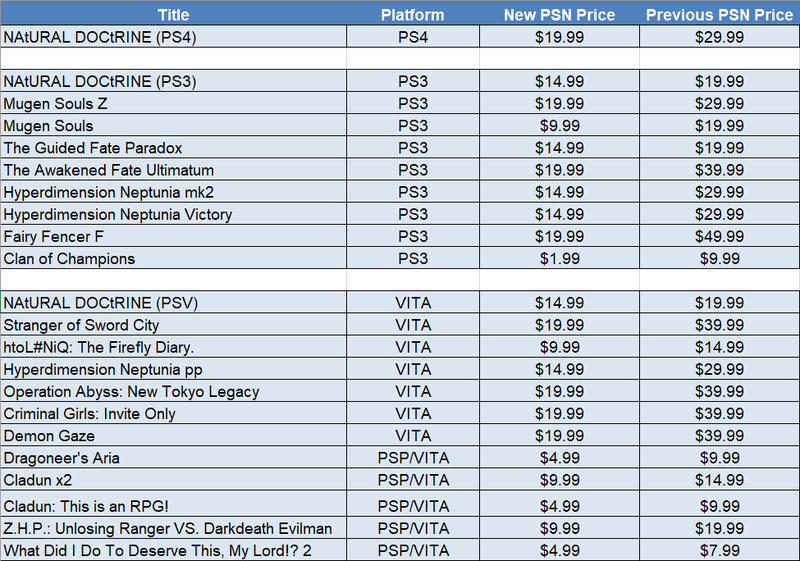 | NIS America, Inc.
Home / Blog / Price Slash on Tons of NISA Games! Save big on the playstation store! We hope you are just as excited as we are, and wish you the happiest of gaming! :D As for me, I'm gonna stock up on my collection of NISA games now... Shopping sprees are the best! Geronimo, dood!